*****December – March is typically dry, with clear skies (great views) but colder with a higher chance of snow on the mountain. The 2 weeks around Christmas and New Year can be the busiest of the year on Kilimanjaro. ** April – May suffer from the long rains. 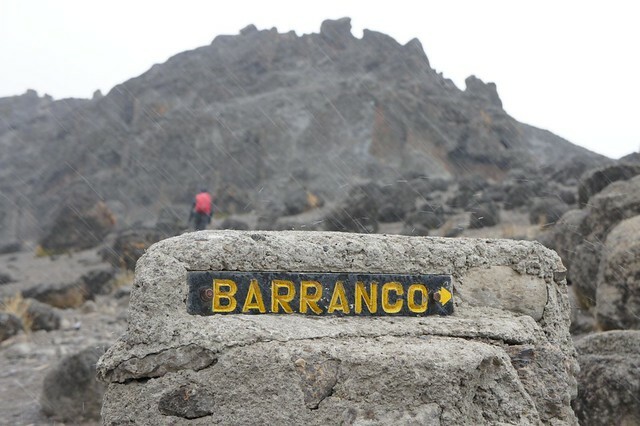 Expect to encounter rain, cloud and mist as you climb Kilimanjaro. Trails will be muddy and only the Machame and Marangu gates are accessible. The upside though is a mountain devoid of crowds with beautiful snow cover on the peak. **** June – October is dry but the months of July and August tend to be busy (coinciding with the Western school holidays). June is a great month to trek, whilst October is similarly quiet it can suffer from low lying cloud cover (which effects your views of the scenery around Kilimanjaro). ** November is the short rain season. As with the long rains from April to May, expect to encounter rain, cloud and mist as you climb. Trails will be muddy and only the Machame and Marangu gates are accessible. The upside though is a mountain devoid of crowds with beautiful snow cover on the peak.